ReRoot creates goods that get used doing the things we love and live for. Some of our favorite pastimes include cooking, eating, traveling, camping, exploring, putting down roots, planting, harvesting, building, and creating. Here is our array of products that were inspired, in part, by our dreams and ideals. Explore the varieties of knives that we’ve designed for your personal or professional kitchen. You’ll see chef’s knives, Santokus, cleavers, paring knives, and more. All of our camp knives are designed for use on the go. From backcountry trips to cross country road trips, these knives are ready to go where you go. Every knife comes with its own custom fit leather sheath. Our neck knives represent a balance of aesthetic beauty and everyday function. 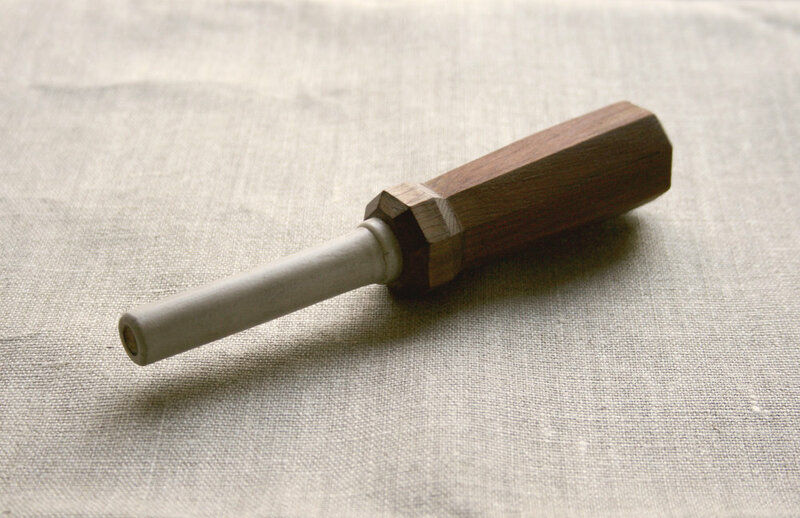 A cutting tool that is also a wearable piece of art, and there when you need it. These fire starters are designed for camping and travel. They are both a tool for survival and a challenge for those looking to perfect the art of making fire. Celebrate elegance and simplicity with our beautiful wood chopsticks and utensils. These tools teach us to be patient, present and thoughtful - wherever we sit down to eat. We utilize second hand ceramic tubes for our versatile knife sharpeners. Keep one in your kitchen or in your backpack, and you’ll always have a way to keep a fine edge on your favorite blades. Sign up to receive updates from our shop, sneak peaks of upcoming products, and special giveaways!